Sometime in my mid-twenties, Gustave Reese, whose research assistant I then was, asked me if I would like to go to a private concert that evening at the Morgan Library. His wife had probably begged off at the last moment. The event is well-remembered by me for three reasons. As I left for home at the end of our work day, Professor Reese casually said, “Of course it’s black-tie.” I’m sure that I pretended indifference, but I as surely racked my brain to remember how clean or pressed my tux shirt was and remembered that I had recently lost my nice mother-of-pearl studs and cuff links in one of youth’s follies. I somehow managed, I think, to get it all together in time not to look as poor-graduate-student as I felt—or of course actually was. The second memory took place in the elevator up to the concert hall. I heard Professor Reese say, “Miss Tully, do you know Mr. Evans?” and found myself face face-to-face with America’s leading patroness of chamber music. I thought of, but of course did not refer to, the many stories that I’d heard about her from Albert Fuller, who was later to be her biographer. But the third recollection is the reason for this short post. The performers were the Quartetto Italiano, then at the height of their fame but near the end of their career. All I remember of the program is that they played Webern and Haydn. It was in the Haydn quartet that I had an unpleasant experience that I have never forgotten. It had to do with vibrato—not as an effect that should or should not happen in some blanket or doctrinaire way, but as something more complex and which, all during the work, had for me an enormously disorienting effect: namely with all short notes necessarily played without vibrato but all long notes heavily larded with it, a highly unpleasant dialogue emerged between the two kinds of tone production, both of which were arbitrarily decided by mere duration of the notes rather than any considered, rational expressive intention. I have rarely reacted so negatively to a performance, and the matter has interested me ever since. Of course issues of vibrato emerged regularly in my many years of choral-conducting but never in an unpleasant or controversial way, so far as I can recall. And I have never written about the question except, in a recent book, a brief mention of “. . . the pitch ‘wobble’ that is routinely accepted in opera singers, wherein exact frequency definition is a very low priority. 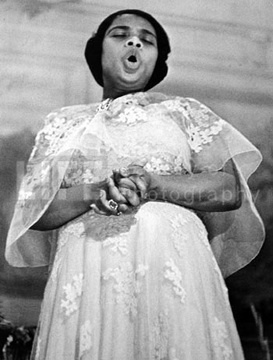 It is sometimes all but left to the harmonies of the orchestra to communicate to us what pitches the singer has in mind.” But, fortunately, someone else has now written on the subject in a way that I would like to have done. The wonderful singer Judith Malafronte here explains it all for you. Now begins the construction of the central tower (La Torre de Jesús) of the Basilica of the Sagrada Família. 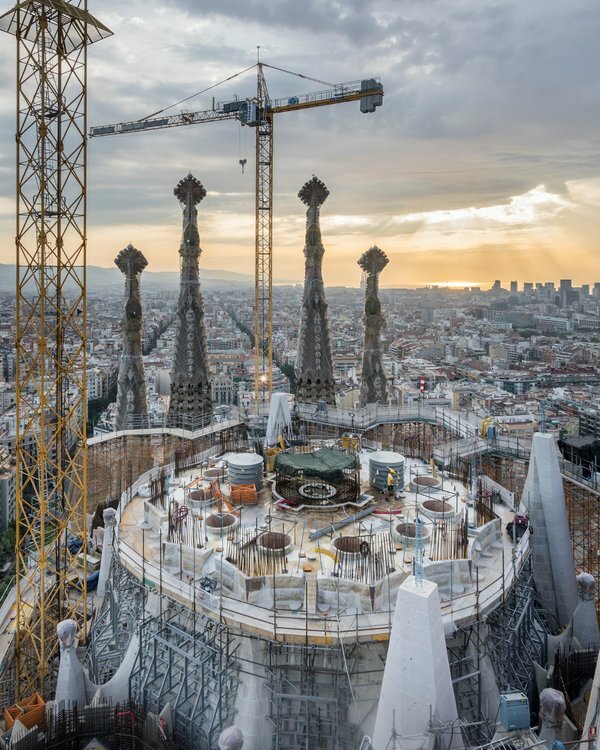 It will make that “Expiatory Temple” the tallest building in Barcelona. In his biographical papers published in the last decade of the twentieth century, Xavier Montsalvatge has a chapter called “Barcelona, en els feliços (per a alguns) anys vint” or “Barcelona, in the happy (for some) 1920s.” In it, he lists many of the world’s leading musicians who appeared in Barcelona as a matter of course before the ravages of the Spanish Civil War and the isolation of the Franco dictatorship. He remembers Ysaye, Rachmaninov, Prokofiev, Kreisler, Heifetz, and the famous conjunction of Thibaud, Cortot, and Casals, who performed both as soloists and in their equally renowned trio. Montsalvatge adds that, after so thrilling an introduction, those same spirituals had been debased by a “desmesurada i irregular diffusió” by the 1990s. Their very popularity had caused them to circulate in ways untrue to their original meaning. 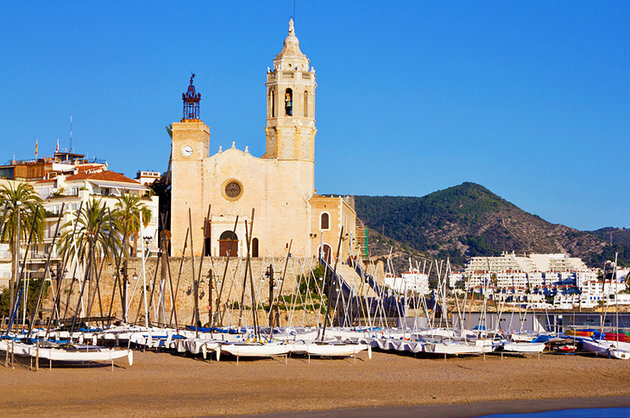 I can testify that this continues in Sitges where, in the beauty of our iconic parish church, the tune of the sorrowful “Nobody Knows de Troubles I See” is sometimes sung at the end of Communion to the words, “Vos sou, Senyor, la llum del meu cor” (You are, Lord, the light of my heart), of course completely overthrowing the meaning of the lament! I’m sure that we Americans have likewise inappropriately appropriated the artistic treasures of other cultures very often, but it’s very difficult for me to hear that mournful melody of a persecuted race as a thanksgiving after Communion! A discussion in English of last Sunday’s election of a pro-independence Catalan parliament, at this link.